SpaceX has delayed liftoff of its next cargo ship bound for the International Space Station until Friday, setting up a one-shot attempt to launch the commercial supply carrier from Cape Canaveral before a potential slip to late December due to high solar angles in orbit. The company confirmed multiple reports that the flight would be pushed back until Friday in a tweet Tuesday evening, blaming the delay on the discovery of unexpected particles in the Falcon 9 rocket’s second stage fuel system. 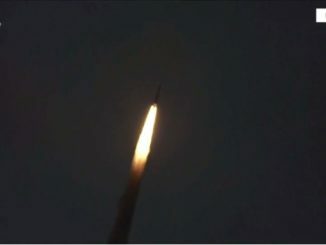 SpaceX’s 13th resupply launch to the International Space Station, known as CRS-13, is set to deliver 4,861 pounds (2,205 kilograms) of cargo and experiments to the research outpost, including biomedical investigations and scientific instruments to study the sun’s total energy output and space junk in the space station’s orbit. Liftoff from Cape Canaveral’s Complex 40 launch pad Friday is set for 10:35 a.m. EST (1535 GMT), roughly the moment Florida’s Space Coast rotates under the space station’s orbital plane. The launch was set for Tuesday, but SpaceX announced a one-day delay Monday night to give workers additional time for pre-launch ground system checks. SpaceX is readying for its first launch from pad 40 since August 2016. A catastrophic rocket explosion at pad 40 on Sept. 1, 2016, left the launch complex unusable, and it took SpaceX more than a year to clean up, repair and upgrade the facility. Falcon 9 launches from Florida were based from nearby pad 39A at NASA’s Kennedy Space Center once SpaceX cleared the rocket to resume flying early this year. The Falcon 9 launcher awaiting liftoff from pad 40 will be powered by a reused first stage booster, on the first flight in which NASA has agreed to put its cargo on a recycled commercial rocket. The Dragon supply ship’s pressurized module is also a spaceflight veteran, having flown to and from the space station on a cargo mission in 2015. 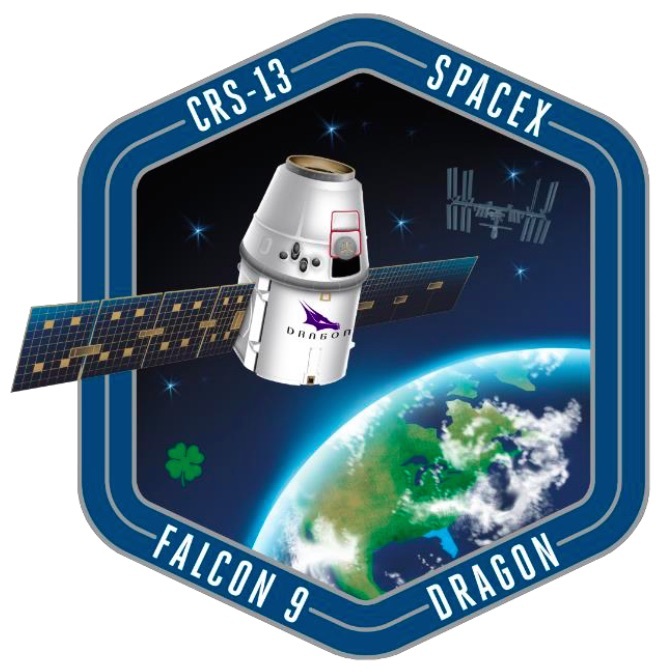 Assuming the robotic cargo mission takes off Friday, the Dragon capsule should arrive at the space station Sunday. Capture of the automated cargo carrier by the space station’s Canadian-built robotic arm is expected at 6 a.m. EST (1100 GMT), less than four hours after three new crew members heading for the outpost are scheduled to launch from the Baikonur Cosmodrome in Kazakhstan. The fresh residents, led by Soyuz commander Anton Shkaplerov, will fly to the station inside the Russian Soyuz MS-07 spacecraft. Shkaplerov, a veteran Russian cosmonaut, will be joined by two spaceflight rookies: NASA astronaut Scott Tingle and Japanese flight engineer Norishige Kanai. The trio will dock to the space station two days after launch on Dec. 19, replacing a three-man crew preparing to return to Earth this week. 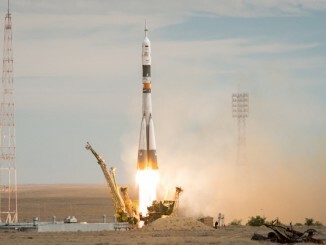 The Soyus MS-05 capsule will bring home Russian cosmonaut Sergey Ryazanskiy, European Space Agency astronaut Paolo Nespoli and outgoing Expedition 53 commander Randy Bresnik, aiming for landing on the Kazakh steppe at 3:38 a.m. EST (0838 GMT; 2:38 p.m. Kazakh time) Thursday, a few hours after departing the station. If SpaceX is forced to delay the cargo launch again, the next chance to send the supply shipment to the space station will not come until late December. 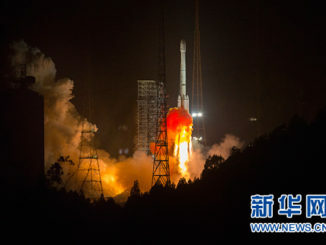 A period of constant sunlight in the space station’s orbit, known as a high solar beta angle, will prevent the outpost from receiving the Dragon cargo craft. Shireman said launch opportunities could open back up for SpaceX around Dec. 25, but it’s not clear if SpaceX or NASA would attempt to launch the mission on Christmas Day.